Sheathing: This type of heaters has quartz silica tube closed from bottom. 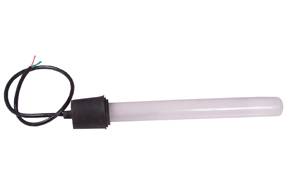 Bobbin heaters are inserted through the tube and terminal wires are mounted on the top and encased in a Rubber cap for Electrical safety. It issuitable for vertical installationonly.